A new Community Alliance has formed in response to racist graffiti found at Castro Valley schools and concerns about hate. 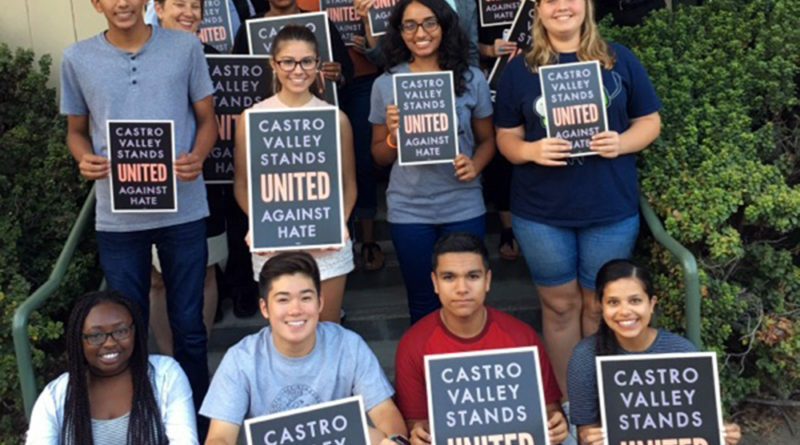 Members of the group waved signs reading “Castro Valley stands united against hate” and demonstrated against racism at Canyon Middle School on Sept. 20, two days after someone marked a truck there with swastikas and derogatory words. Alameda County Sheriff’s Office is investigating the incident as a hate crime. “When we see racism or homophobia or anything like that in our community, we stand up and we defend everyone, it’s as simple as that. We hope as people are coming up the hill today they will feel welcome because that’s the message that I think we need to hear in 2017,” said Michael Kusiak, one of the group members. The Community Alliance is made up of people from Castro Valley Unified School District, religious groups, law enforcement agencies and the Chamber of Commerce. The group’s main purpose is to serve the students of the district and make them feel safe and included. In order to ensure that everyone feels welcome, valued and respected, members have made a commitment to speak up against hate and let people know that racism and bigotry have no place in our schools and community. 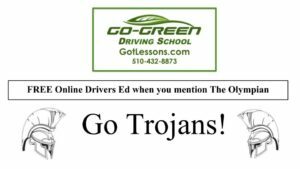 Castro Valley Unified School District’s motto “ALL means ALL” serves as the philosophy at the core of the Community Alliance and drives the work of this group. “No one should wake up in the morning preparing to go about their day fearing of not being accepted or valued because of the color of their skin, gender, ethnicity, sexual orientation, religion, disability or economic status,” said Superintendent Parvin Ahmadi. Group members attended registrations for middle, elementary and high schools, with the purpose of spreading the word. They also visited CVHS on Aug. 24 to let students know the group supports them. “As a student, I know that a lot of teens struggle during their high school careers thanks to all the different stereotypes and prejudices there are, but that’s what I love about being part of this group, that I get to help them,” said Eman Nagi, a student and Community Alliance member. The group plans to celebrate diversity through multicultural events and community workshops, and to help produce a video and to advocate for compassion and acceptance. I have a sign at home saying ” Castro Valley Stands United against Hate “. I think standing up against all of the racism in this world is right. I believe that everyone should be treated equally and fairly.